Don't like this method? Check out tonymacx86's alternative EFI partition method. LATEST UPDATE (January 6, 2013): This method also works with newly-released Radeon R9 270, 270X, and 280X, all of which are really just rebranded 7000-series models. A Hackintosh running OS X 10.8.3: Only version 10.8.3 of Mountain Lion (and newer) includes the new graphics drivers for the AMD Radeon HD 7000 series, so you will have to update your Hackintosh. AMD Radeon HD 7000-series card: Currently, most desktop graphics cards in the 7000 series are supported. As of March 24, 2013, the AMD Radeon HD 7970, 7950, 7870, 7770, and 7750 have been confirmed to work without the need for additional drivers. The AMD Radeon HD 7850 only works with specially edited kext files. Check out this forum thread for a list of specific graphics card models that have been confirmed to work. Integrated graphics card: You will have to set your integrated graphics card (located on your computer processor) as the primary graphics card. Most desktop processors include integrated graphics, though there are a few rare exceptions. Nowadays, all new motherboards include support for integrated graphics cards, but older motherboards using chipsets like P67 and P55 don't work (e.g. the Gigabyte GA-P67A-D3-B3 or GA-P55-UD3). Alternatively, if you own a second graphics card that works with Mac OS X, you can add it to your computer and set it as the primary graphics card instead. If you do not have an integrated graphics card or second graphics card available, this guide will not work. Instead, you will have to follow this alternative guide to installing your bootloader on an EFI partition. Sleep mode (optional): In some cases, Hackintoshes with 7000-series cards suffer from the "white screen" glitch, where you have to sleep and wake your computer for Mac OS X to start. If this is the case, your Hackintosh must be able to wake from sleep mode in Mac OS X properly. Unless you really need to use a 7000-series graphics card, for the moment, NVIDIA's 600-series cards are generally a better choice for Hackintoshes. However, if you really need to use AMD's greatest and latest cards, here's how. Since Chimera and Chameleon bootloader don't work with 7000-series graphics cards yet, you'll have to go to the BIOS of your motherboard and set your integrated graphics card as the primary graphics card instead. This way, Chimera/Chameleon can rely on your integrated graphics card to start Mac OS X. 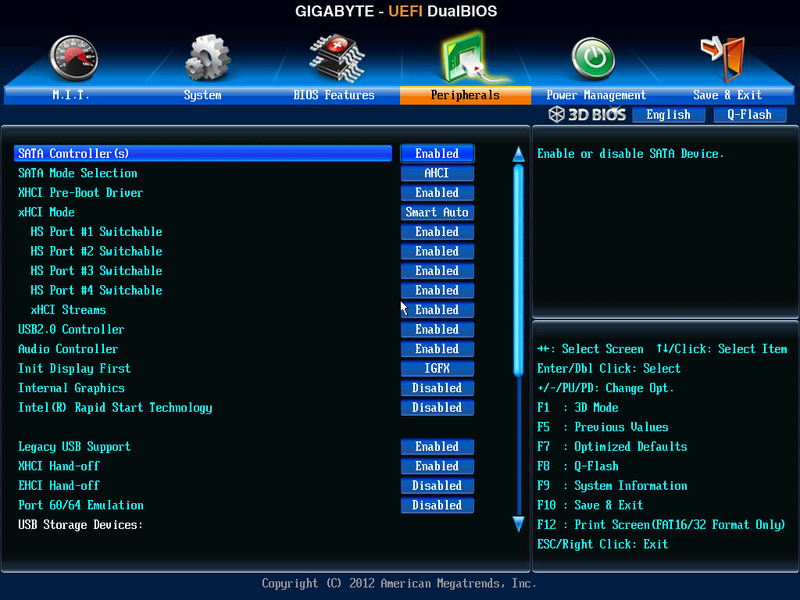 On the newest Gigabyte motherboards that use the UEFI standard for their BIOS, you need to set "Init Display First" as "IGFX" (which stands for integrated graphics), and set "Internal Graphics" as "Disabled". 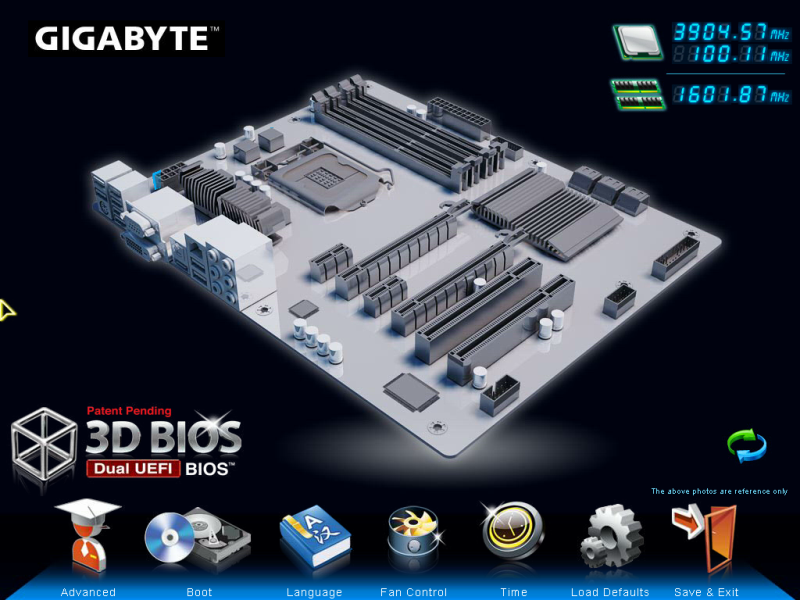 On older Gigabyte motherboards, set "Init Display First" as "Onboard". On motherboards from other brands, this setting will be called something similar, such as "Primary Display". This part is self-explanatory. Connect your computer monitor to your 7000-series graphics card. This way, your monitors will use your 7000-series card in Mac OS X, even though you set your integrated graphics card as the primary graphics card in the previous step. From now on, your computer to boot with a black screen. Basically, you won't be able to see anything on your computer screen until Mac OS X actually starts (once Mac OS X starts, everything will work as normal). Your computer is using your integrated graphics card card to run the boot process, but your monitors are connected to your 7000-series card, so the screen is blank. Once you've set up your BIOS, reboot your computer. Wait for Mac OS X to boot; your screen will be black for a while. Of course, if you do not have Chimera bootloader set to automatically boot Mac OS X, you will have to press the "Enter" key to start the boot process. If Mac OS X does not boot within a few minutes, you may have to enter the boot flag "GraphicsEnabler=No" (without quotation marks). You won't be able to see what you're typing, but the normal method for entering boot flags will still work. Eventually, Mac OS X will start. If you reach the desktop, congratulations-- you're done! NOTE 1: If you reach a white screen instead of the Mac OS X desktop, you will have to apply the "sleep fix". Put your computer to sleep. You can usually do this by quickly pressing the power button of your computer. Then, wake your computer up from sleep by pressing the power button again. 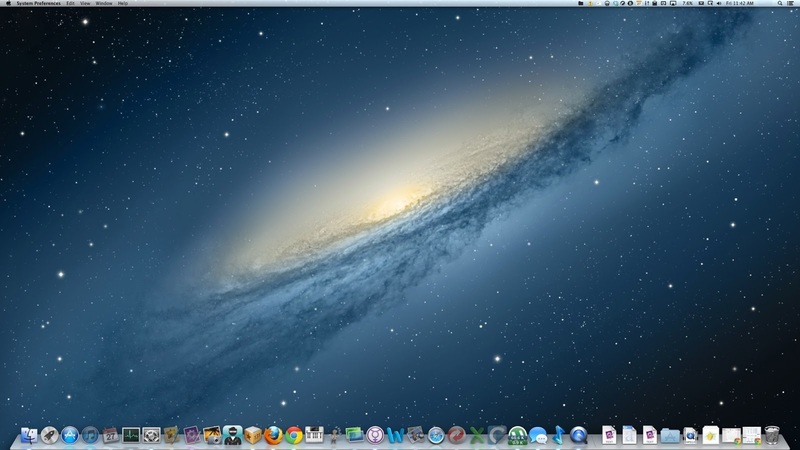 You will now be able to view the Mac OS X desktop. You need to apply this fix every time you boot Mac OS X. 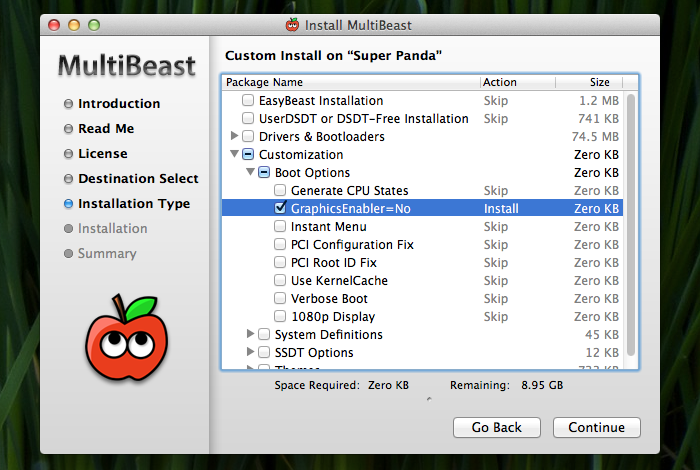 NOTE 2: If you needed to use the "GraphicsEnabler=No" boot flag to start Mac OS X, you can apply this boot flag permanently by installing the "GraphicsEnabler=No" option in Multibeast.